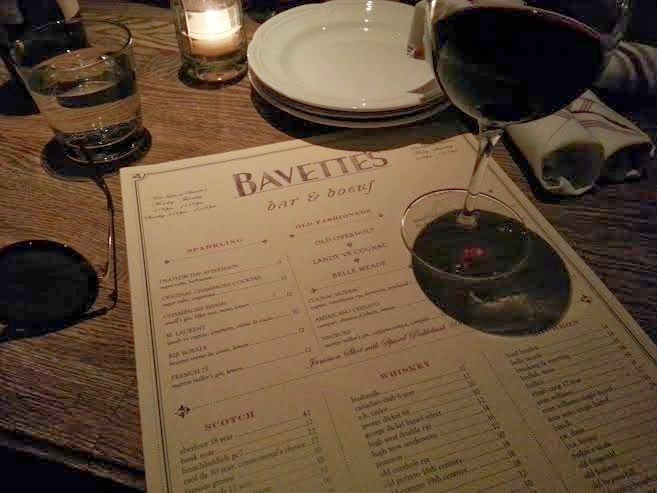 Last week I was extremely excited to celebrate my birthday at Bavette's with two of my best friends. This restaurant had been on my radar for quite awhile and let me tell you this place didn't disappoint. When you first walk in you'll be transported back into the 1920's with a cozy and romantic atmosphere of an elegant French bistro. The menu has a little something for everyone from seafood to steak and also an impressive vegetarian menu. First of all don't skip out on the fresh sourdough bread that's delivered to your table. I know you're thinking you don't want to fill up on bread, but this bread is phenomenal and not to be missed. 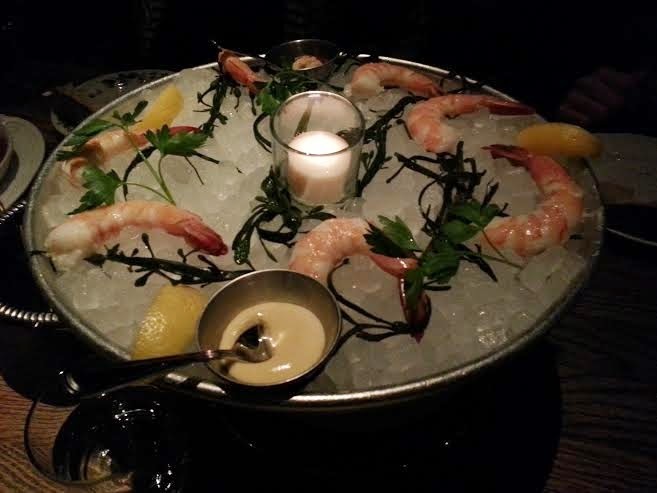 My friends and I ordered items tapas style to share and started with the famous shrimp cocktail. The shrimp we're extremely fresh and the dijonaise sauce was perfection. We also ordered the baked goat cheese with a red tomato sauce and garlic bread, smoked whitefish ceasar salad (one of my favorites of the night), and the elote style corn with chili, lime and parmesan (need to recreate this at home). 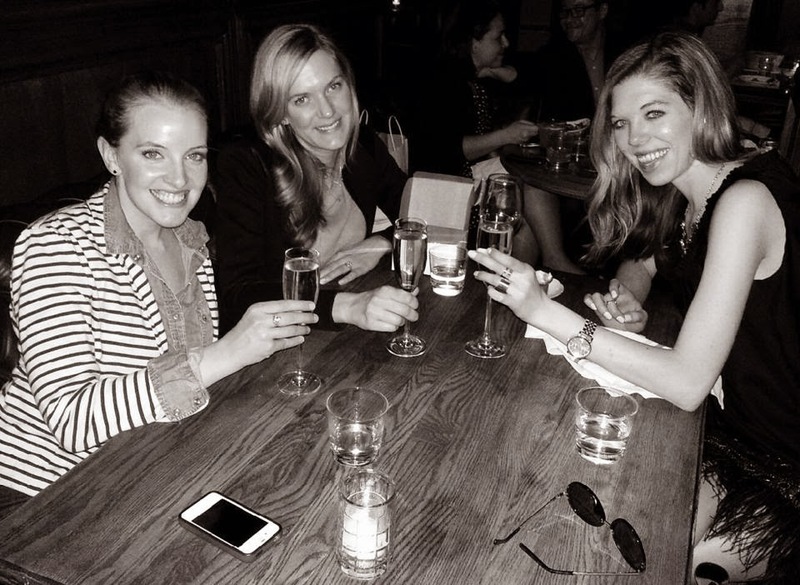 The food, decor and my company for the night was the perfect way to celebrate turning 28. That shrimp looks SO good!